How Much Does an Italian Ice Cart Cost? One of the first questions potential Ice cart owners want to know when they call our company is : How much does an Italian Ice cart cost? Although this is a very easy question to answer, there are other things that you should be aware of before you make your purchase of an Italian Ice cart and Italian ices. When you buy from Little Jimmy’s Italian ices you are purchasing your pushcart and Italian ices directly from the Manufacturer in Iselin, NJ. By doing so you are avoiding the high costs of purchasing a franchise or a business opportunity since we are the manufacturer of the Italian ices and Pushcarts and never ask for any royalties, establish any territories, or tell you what to do as the end user of your Italian ices and pushcarts. 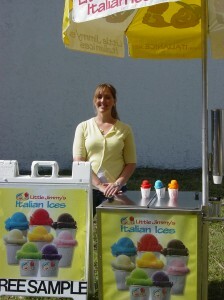 If you wanted to purchase the Italian Ice cart and ices and set it up as a business for events, that is your decision. If you wanted to purchase the Italian ice cart and Italian ices for your school or as a fundraiser, that is your decision also. If you wanted to purchase just the Italian ice, that is your decision also. Our Italian Ice carts and Italian ice packages start at $4495 and go up from there depending on the number of pushcarts you purchase and/or the amount of Italian ice you purchase- everything is negotiable on all of our Italian ice packages- if you want something more or less than what we are offering in the packages, we will gladly assist you in finding a package that is best suited for your needs and delivery concerns. Now that you hopefully understand the differences between purchasing your Italian ice pushcart from us directly from us here at Little Jimmy’s Italian Ices vs that of a costly franchise, here are some of the items you will receive in our packages. As you can see, there are many options available, and when someone receives a quote from our company, we thoroughly examine each option as to educate the Italian ice cart owner on the option’s benefits as to identify its overall importance to the success of their purchase. When an inquiry is made as to how much our Italian Ice and pushcarts cost, the relationship between our pushcarts and our Italian ices is also a key factor. What I mean by this is that as a company, we have four different packages we offer our customers. Unlike most Italian Ice companies, we will do as much or as little as our customers would have us do. This flexibility leads to less stress and more savings for the customer. Question: Thanks for the info. Very Interested in this opportunity. I live in a very hot, humid area, How do you maintain temperature in cart if opening and closing all the time serving hundreds of customers? How do you get temp to 10 to 12 degrees, hold that, in conditions of 95 to 100 degrees 70+% humidity? Heat rises and cold drops (bet you didn’t know you were going to get a science lesson! 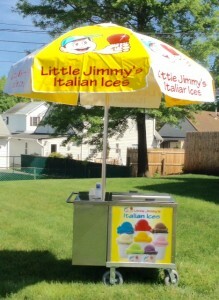 )- Heat rises enabling you to scoop Little Jimmy’s Italian Ice out of our specially designed and insulated pushcarts. Cold drops keeping the carts bottom cold at all times to keep product from melting. To keep the cold going all day when a can of Italian Ice starts to become small or low- you cut down the cardboard can with a knife, and then add another can of Little Jimmy’s Italian Ice below. This process actually adds more refrigerant back to the cart and takes the place of the air space. As long as the cart is filled with Little Jimmy’s Italian Ice on hot days, it will not liquefy. Question: At the end of day, do you refreeze? Can you refreeze? Answer: Yes- as long as the Italian ice has not liquefied. There is nothing perishable in Little Jimmy’s Italian Ice, so you can refreeze. Question: How much do people charge for a 5 oz serving? Answer: Generally the same price that a hot dog or single scoop of ice cream is going for in your area. Question: How many 5 gallon containers does a cart hold? Answer: Our Italian Ice pushcarts hold four- 5 gallon cans of Little Jimmy’s Italian Ices. If you were to sell all four cans at the same price that a hot dog sells for (say for example $2) that would be approximately $900 gross for the $120 cost of the four cans of the Italian Ices. If you were at an event and the hot dog price was more (say for example $3) that would be approximately $1300 gross for the $120 cost of the four cans of the Italian Ices. Question: How much does a cart weigh? Answer: 150 lbs empty, 310 lbs. 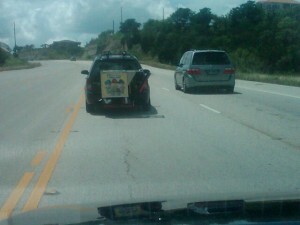 loaded with four 5 gallon cans of Little Jimmy’s Italian Ices. Question: What are the dimensions of the cart? Answer: 25 x 25x 25 on 8 inch wheels- Umbrella holder comes up 53 inches from the ground. The umbrella holder can be removed- You then would need a 37 clearance for the pushcart to go inside your vehicle. Question: How much is a cart by itself? Answer: After you have ordered one of the Cart Plans (A, B, C) they are $2620 plus shipping. 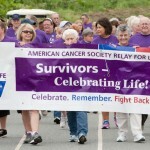 Question: How many cups, scoops, helmets, tee shirts, caps and signage comes with Plan A.? Answer: 5000 5 ounce cups, 2 scoops, 120 Major League Baseball Teams that you scoop the Italian Ice into, Tee shirt and caps- 2 of each (please specify size). Signage- All the stickers of the flavors you have ordered. A removable Free Sample umbrella sign atop your Italian Ice pushcart will attract customers to your cart and create all sorts of activity to your Italian Ice cart. As soon as someone passes the sign and looks at you, you would say Hi, what flavor would you like today, Cherry or Lemon? You then get two positive answers- Yes and Yes. As soon as the customer tastes the product on the small sample spoon, (that you will have to provide-you can buy these sample spoons at Wal-Mart, Costco, etc.) 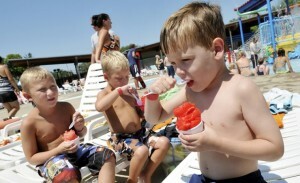 the customer is hooked and buys the Italian Ice. Under no circumstances do you ask Hi, would you like a free sample? This question leads to one positive and one negative answer- Yes and No. Question: If I must unload product, is forklift necessary, as operating out of garage? Answer: It is necessary- You will need to specify a delivery location that has a forklift (local hardware store or building supply company.) However a better option is a cold storage warehouse. You do not have to be there when the delivery arrives, and it is a more convenient situation. Instead of storing all 60 cans at your premises and needing 3- 25 cu ft chest freezers, you could utilize the cold storage facility to store the majority of your Italian Ice and then keep just one 25 cubic foot chest freezer on your premises that you can operate out of. Either way the choice is yours.